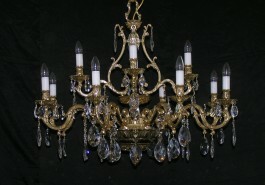 The massive crystal cast brass chandelier in the shape of a lyre, decorated with cut almonds. 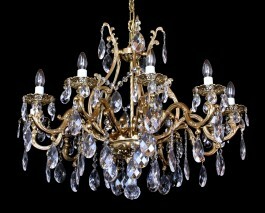 Representative crystal chandelier made of quality cast brass in the shape of a lyre. 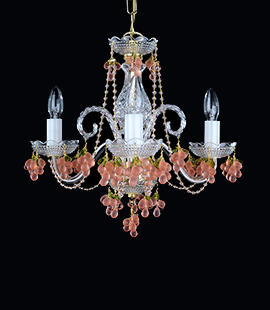 The chandelier comes with 0.5 m massive decorative chain and ceiling rose.